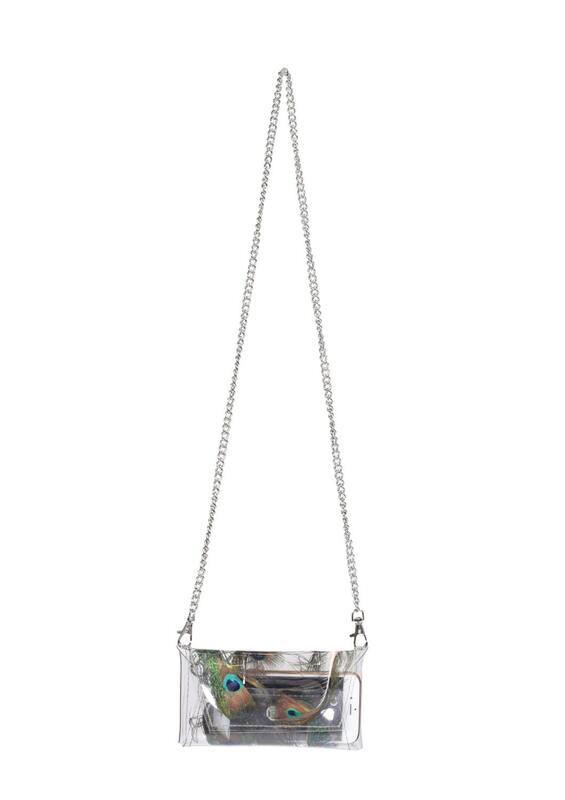 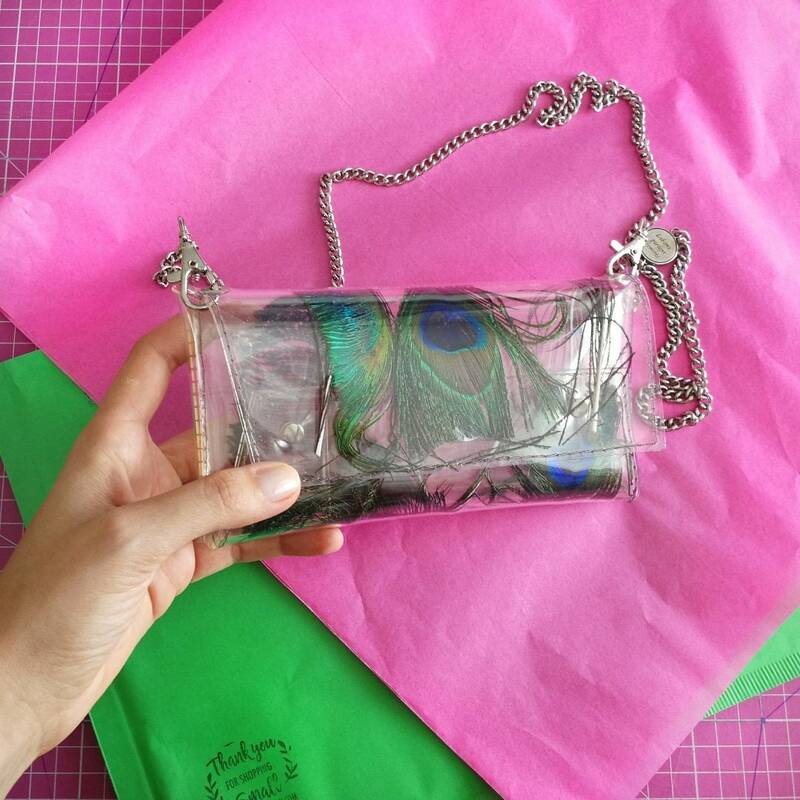 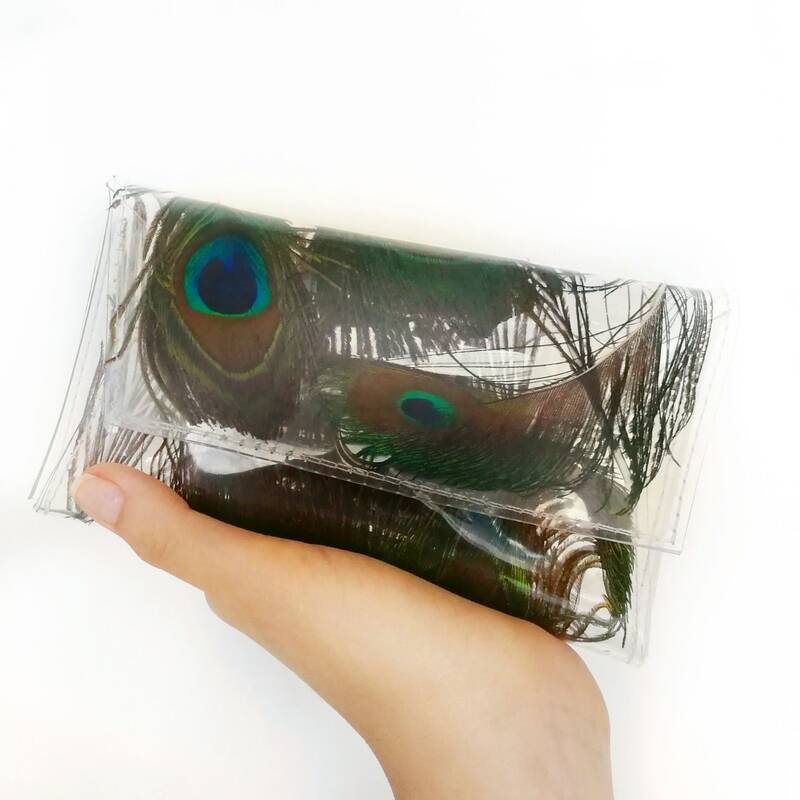 Ready to Ship chain iphone bag amazing clear feathers clutch, envelope, purse bag, cellphone bag, iphone crossbody bag is made ​​of two layers of elastic crystalline film there between are real light and Peackock feathers. 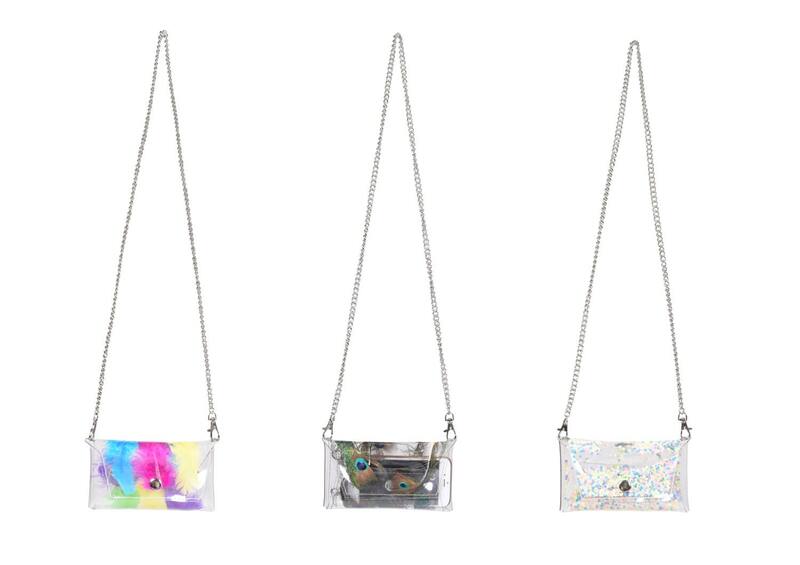 Compatible for: iphone 4/4s; 5/5s; 6/6s and a lot of sony, lg, samsung phone - the bigest size for this bag is 14x 7x1 cm and also i can create the same bag for your own cellphone bag. 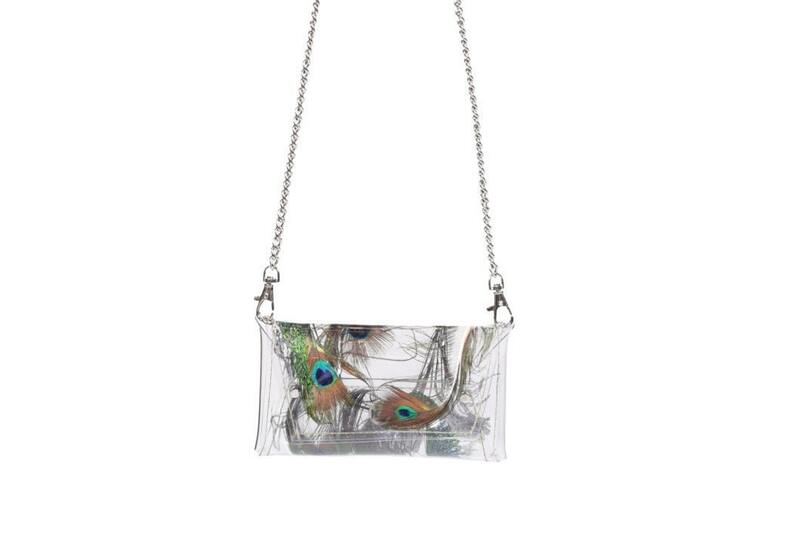 See my other unusual handbags, which I create with passion and love for things exceptional nature, as these inspire real life.